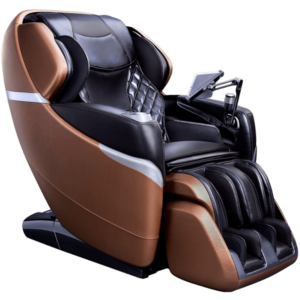 Do you like the Cozzia Qi SE massage chair? Then you are going to love the Cozzia Qi. The Cozzia Qi is packed with features like Chair Doctor, 4D rollers, and advanced body scan technology, making it a favorite of many consumers. Retailing at $5,999, the Cozzia Qi SE provides a comfortable massage and substantial cost savings compared to its big brother, the Cozzia Qi. Of course, it is not the Cozzia Qi—the highest rated, most well-reviewed chair on the market today. But if you’re looking to spend less and don’t mind sacrificing a few of the features that make the Cozzia Qi so great, the Cozzia Qi SE is a stand-out chair for the price, delivering a comfortable, human-like massage and plenty of value-added technology. Exactly which features will you sacrifice by choosing the SE model? And what advantages will you find? 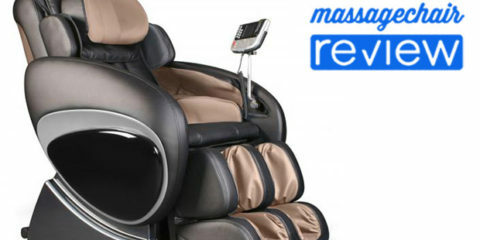 Let’s start with an overview of each massage chair and then we’ll talk about the similarities and differences. The Cozzia Qi boasts a number of stand-out features, leading us to rank it as the best massage chair on the market. The Cozzia Qi uses fast, accurate, and efficient body scan technology to customize the roller placement to the pressure points on your back. The rollers themselves are a study in advanced massage chair science and technology. The Japanese-designed quad rollers pivot and pull back to function as dual head rollers, expanding the number of massage techniques the chair can offer. The 4D rollers move in and out, up and down and side to side, and can extend up to 5 inches from the back of the chair for the deepest massage ever. 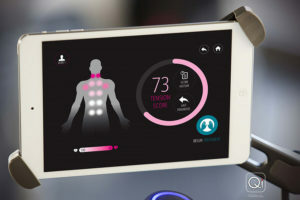 Chair Doctor technology uses biometric data to “prescribe” the best massage for you after measuring your tension levels and detecting the problem areas of your back. This is just some of the first-of-its-kind technology in the Cozzia Qi. Add an S-Track that conforms to your back, chromotherapy, Bluetooth connectivity, 30 airbags, a superior shiatsu foot massage, full heated back and iPad control, and it’s easy to justify the Cozzia Qi’s price tag. But what if it’s out of your budget or you just don’t need that many capabilities in your massage chair? Enter the Cozzia Qi SE. 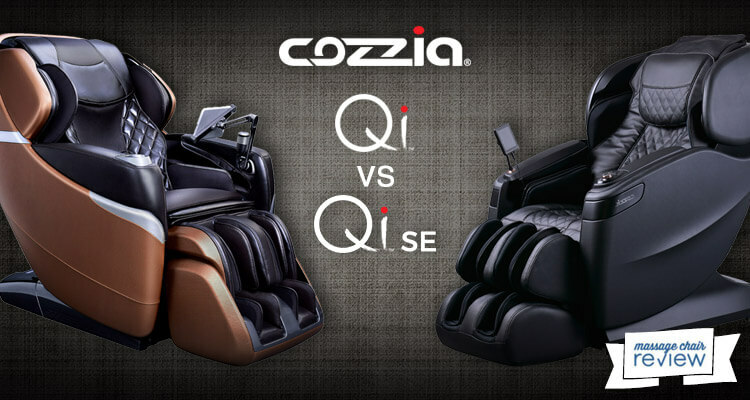 As high-end massage chairs go, the Cozzia Qi SE is no slouch. 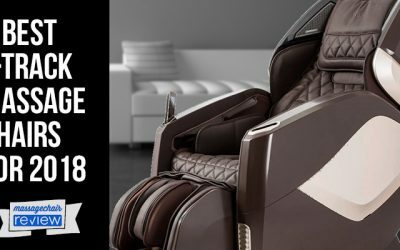 In addition to the well-respected Cozzia brand name, the Qi SE offers many of the features today’s consumers expect in a high-end massage chair. It has 4D roller technology, quad rollers for a more human-like massage, and a hybrid S/L-track for a complete massage experience. At this time, it is the only chair on the market with L-track massage functionality and 4D rollers, for a complete full-body massage that feels as close to human hands as a massage chair can get. 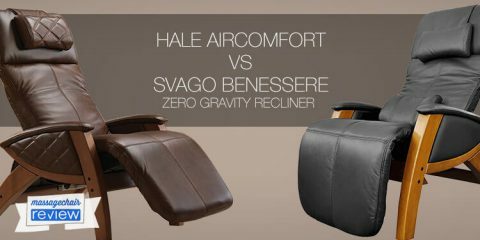 It also delivers heat via the back rollers and in the legs and calves via heated airbags. 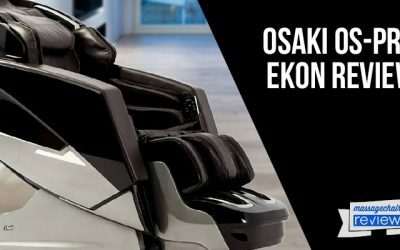 With 13 massage options, two choices for shiatsu foot massage, a zero gravity setting, chromotherapy, and a touchscreen (tablet-like) controller, you might deem the Cozzia Qi SE the most high-tech chair on the market. That is, if you didn’t know about the Cozzia Qi and its offerings. 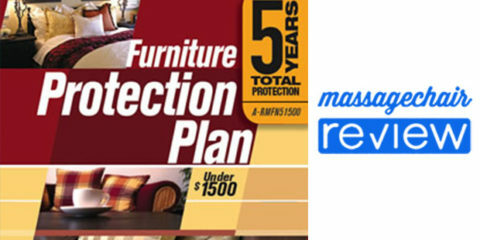 Let’s compare the features so you can decide which is the best massage chair for your budget and needs. 4D means the roller heads can move left, right, up, down, and also in and out to provide a deeper, more customized massage. But only the Cozzia Qi massage chair rollers can extend a full five inches for the deepest massage on the market. Speed adjustment built into the massage programs contribute to the “human-like” touch these rollers provide. Also, the roller heads can pivot back, turning into a dual roller design to provide a wider variety of motions than any other massage chair available today. The Qi SE uses the same type of technology. Cozzia even calls it Vario Motion. But the four heads do not have the same range of motion as the original Qi. The rollers still give a good massage—just not quite as good in a side by side comparison. 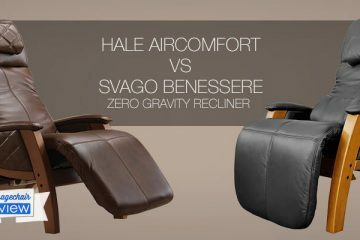 Roller Technology: Which Massage Chair Wins? Hands down, the Cozzia Qi has far superior roller heads. The technology is more advanced than anything else available today. The Cozzia Qi boasts “Chair Doctor” and advanced body scan technology for a more customized massage. 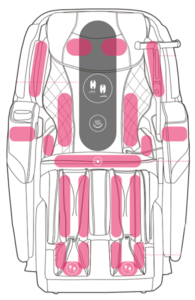 The chair does an advanced biometric scan of your body, detecting not just the curve of your spine, but pressure points and areas where you are holding tension. The Chair Doctor tracks your progress over time and adjusts as needed. You can see how well your massage program is helping you de-stress and how well the massage chair helps alleviate tension in problem areas. The Qi comes with 13 pre-set massage programs. The Qi SE massage chair models come with 11. Both offer the ability to customize your experience by making changes to speed, intensity, and zones on the fly. In reality, most users will steer toward a handful of programs they enjoy. The customization abilities pretty much guarantee either chair can deliver the massage you want. 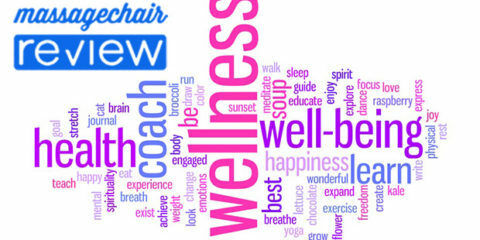 Technology and Programming: Which Massage Chair Wins? 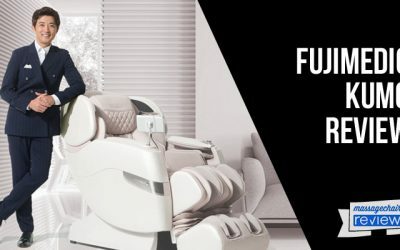 Thanks to first-of-its-kind Chair Doctor and advanced body scan technology, along with 2 additional pre-set programs, the Cozzia Qi delivers a more customized massage, putting it ahead in this category. The Cozzia Qi features an S-Track design, which follows the curve of your spine. Combined with the Chair Doctor technology, this track helps the Cozzia Qi massage chair deliver a more customized massage. The Cozzia Qi SE, however, adds an L-Track for a deep massage through the glutes and all the way down to the mid thighs. As of now, the Cozzia Qi SE is the only chair to feature 4D roller track technology and an L-track. It can deliver one of the deepest massages across the greatest area of your body. Track Design: Which Massage Chair Wins? We have to give this one to the Cozzia Qi SE. If you are seeking a deep massage down to your thighs, the SE adds this special touch the Cozzia Qi lacks. Once again, the Cozzia Qi leads the industry. The massage chair does not come with a custom controller. Instead, users get an iPad Mini free with the purchase of the chair. You control the chair via the Cozzia app on the Mini, although you can also use your own iOS device. The Cozzia Qi SE comes with a dedicated, wired-in touchscreen controller that operates like a tablet. However, you can’t use it for other apps or functions. This one comes down to personal preference. But we give the points to the iPad controller on the Cozzia Qi, especially for tech-savvy consumers who are more likely to use the iPad Mini for other things, such as playing music through the massage chair’s Bluetooth speakers. With a total of 60 airbags spanning from head to toes, the Cozzia Qi SE nestles your body in comfort, applying the gentle pressure that relieves tension and may help with pain. But it’s not just about how many airbags a chair has. How well are they placed and can they be customized? The Cozzia Qi features 30 airbags. Each one can be customized for its intensity, and you can turn airbags on or off based on body regions. 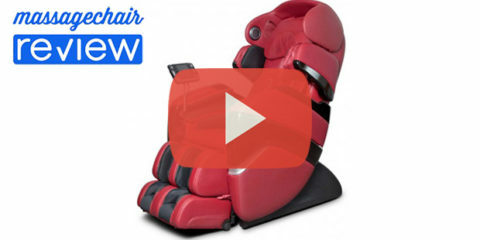 Airbags: Which Massage Chair Wins? The number of airbags is about the only feature keeping the Cozzia Qi from receiving five stars across the board in many consumer reviews. Points go to the Cozzia Qi SE on this one. Both the Cozzia Qi and Cozzia Qi SE feature Shiatsu foot rollers for a deep tissue foot massage. They both have airbags that hug the calves. 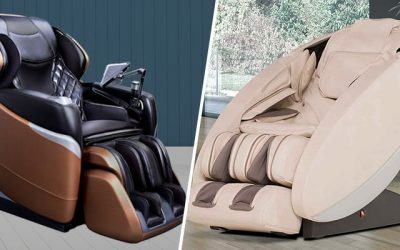 Foot Massage: Which Massage Chair Wins? Call it a tie. 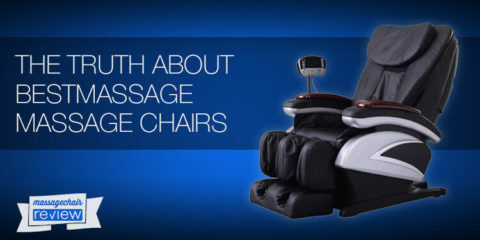 Both chair models offer best-in-class foot massage features. Both chairs include a host of high-tech features such as Bluetooth technology and chromotherapy LED lights. The LED lighting on both chairs is programmable for different colors and different light patterns. The Cozzia Qi SE adds a few features missing from the higher end model. Notably: Two Zero G positions, and a wall-hugging design that means the chair needs only 5 inches clearance from the wall. But the Cozzia Qi is one of very few massage chairs to provide full back heat via heated rollers and a heated chair back. Coupled with the advanced body scan technology and superior roller design, the Cozzia Qi delivers unmatched therapy to those with severe neck, shoulder, upper and lower back pain. The Qi SE fills a niche for those who are tight on space, looking to spend a little less on their massage chair, or seeking some of the specific features, such as an L-Track, the Qi SE offers. But the Cozzia Qi remains the massage chair to beat in the race to the top. 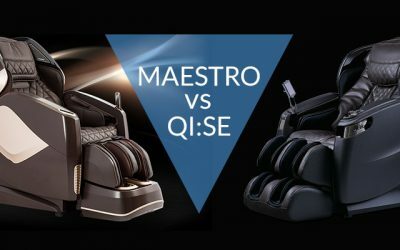 Cozzia Qi vs. Cozzia Qi SE: Which Massage Chair Wins? You get what you pay for. 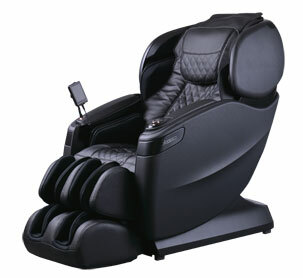 And if you can afford a $10,000 massage chair, you’ll find the Cozzia Qi worth the investment.